1. It will be part of you. Tattoos are for life, so you better be sure that you can live with it. If you feel like you’d be embarrassed to show it to people, then it’s probably not for you. 2. Your pain tolerance. 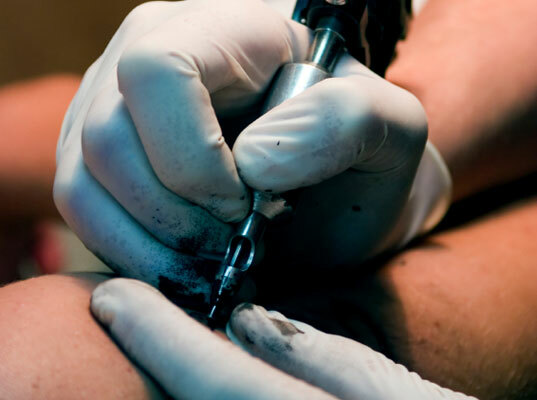 Most people who have had a tattoo say the pain was not as bad as they thought it would be. That said, know that getting ink drilled into your skin will hurt. 3. Your tattoo artist. Check that his tattoo parlour is clean and that it displays the necessary certificates prescribed by the government. During your initial consultation, make sure whether you will actually be comfortable with him modifying your body: the trust between artist and client will largely affect the success of the tattoo. 4. The quality of work. Check your chosen tattoo artist’s portfolio to guarantee that he can superbly bring to life your chosen design. The marks of a good tattoo are clear lines, smooth shading and vibrant colors. Choose a reputable establishment to avoid complications—whether aesthetic or medical—in the future. 5. Your budget. Of course, make sure you can afford your ink. In Singapore, prices usually start at $100, and goes up depending on the size, colors, and complexity of your design. Pricing is subjective so feel free to negotiate, but don’t be niggardly. A 4×4” tattoo should cost about $300 to $400. 6. Meaning of your tattoo. Your tattoo is a tag that you choose for yourself. Don’t choose a design just because you think it looks cute: it should also have a personal significance. The best tattoos have a story behind it. 7. Avoiding stress. Getting repeatedly punctures is not a pleasant experience, but it doesn’t have to be distressful either. If you choose your tattoo artist well, you should be able to relax and talk to him as you get inked. You can take some non-steroidal pain relievers before the session to minimize pain. 8. Touch-ups. When your tattoo has healed, and you find that a little more coloring or adding a few lines or shades could improve it, don’t be afraid to request your tattoo artist for a touch-up. This shouldn’t cost much and could be done easily. 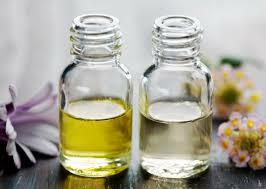 Essential oils are taken by distilling plants whose oils can have certain therapeutic properties. The process uses different parts from different kinds of plants, such as roots, leaves, stems, and even the flowers and tree bark. These oils can either be used by themselves or as a base for a perfume, and are often either topically applied on the skin or inhaled as a fragrance (this makes them widely used for aromatherapy). When used properly, essential oils are not just relaxing, but also boost your immune system and relieve headaches and stress that comes after a long day’s work, which makes them great to have for your home or office in Singapore. •	Try it if you’re anxious. Even though they won’t take all your stress away, essential oils such as those made from lavender and chamomile can work wonders in helping to keep you calm and relaxed. •	Tell your doctor. As much as possible, your doctor should know if you are using essential oils especially if you happen to be taking medications – essential oils and medications can sometimes cause allergic reactions to occur. •	Toss out old oils. Because of how long they have been exposed to oxygen in the air, essential oils also have a shelf life and you should toss them out if they haven’t been used for more than three years. •	Rub them anywhere. While you can rub certain oils on your arms and legs, they may not be safe to apply to your eyes, ears, nose, or mouth. Some examples of these include lemon and peppermint oils. •	Trust buzzwords. Certain natural substances can be irritating and cause allergic reactions, even if the label says it’s “pure”. To be safe, test the oil out by applying a small amount onto a small area of your skin to see how your body will respond. •	Use them on injured or inflamed skin. Unwanted skin reactions can happen when you’re not diluting your oils, and this can especially be dangerous on injured or inflamed skin. But perhaps the most important thing you want to consider when using essential oils is the age – children under the age of 1 and pregnant women may get allergic reactions to certain oils. 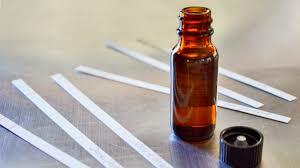 Before using essential oils at home or in your office, always be sure to consult your doctor. 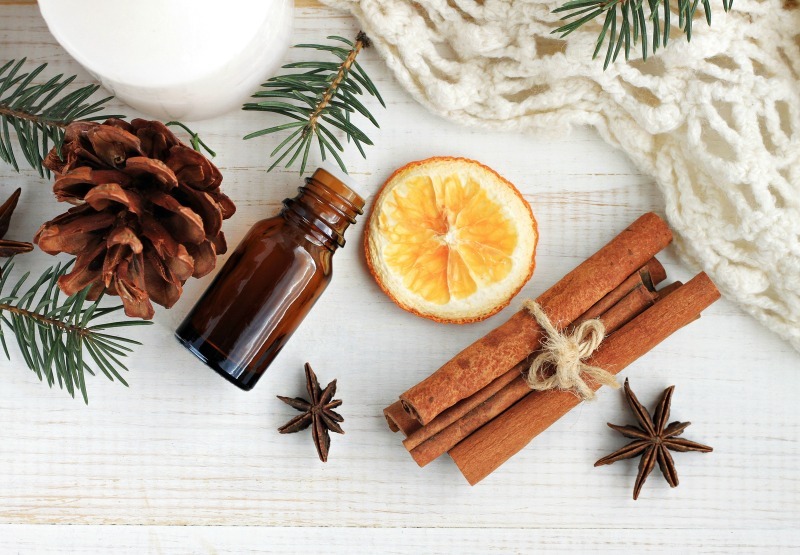 Essential oils have been used for a long time, and if you’ve ever tried to use them at least once, you know that they can be quite expensive, especially if they have certain antibacterial and antiviral properties. While they are similar to fragrance oils, the difference between the two is that fragrance oils simply imitate the smell, while essential oils are the plant’s essence concentrated and have more benefits. Fortunately, you don’t always have to spend a lot to get the oils you want. 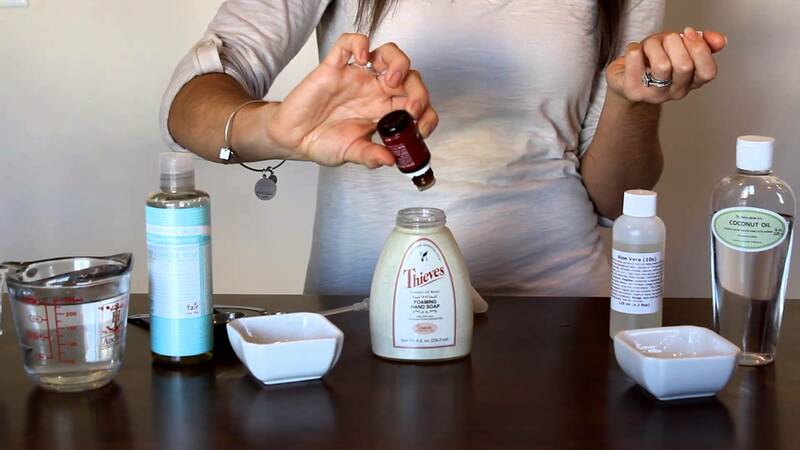 With the right know-how, you can make your own oils for your own use at home anytime, anywhere. 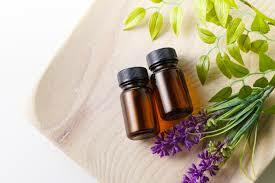 You can use a good number of garden-variety herbs when it comes to making your own essential oil. Some types of plants you can use for making oils include peppermint, rose, and even lemon. These aromatic oils are made from different plant parts, and the best way to make sure you get as much of the extract that you can is by chopping them. Ideally, you want 3-4 cups of chopped plant materials to get you started. 1. Place the chopped-up plant material in the crock pot and add distilled water (it should fill up to ¾ the crock pot. Cover the pot with the lid upside-down and place the crock on the stove. 2. Heat the water on high, and turn it down to low once the water starts to get hot. When the setting is on low, leave the crock to simmer on the low setting for three to four hours. 3. Once the plant material has cooked down after simmering, turn off the heat and let it cool down enough before placing the contents into the refrigerator (you can transfer the plant material and the water if the crock pot doesn’t fit) and leaving it overnight. 4. Take the pot out the next morning and carefully lift the fond. This fond is the oil that you want, and it will melt down quickly if you’re not quick enough. Place this in a properly labeled bottle and seal it. 5. If there is a bit of liquid-based fluid on the bottom, you can heat the oil on a gentle simmer for a short amount of time to allow that liquid to turn to steam and separate. Once it’s separated, store it in a colored glass container in a cold, dark place. Doing this will help to keep the oil in good condition for as long as possible. 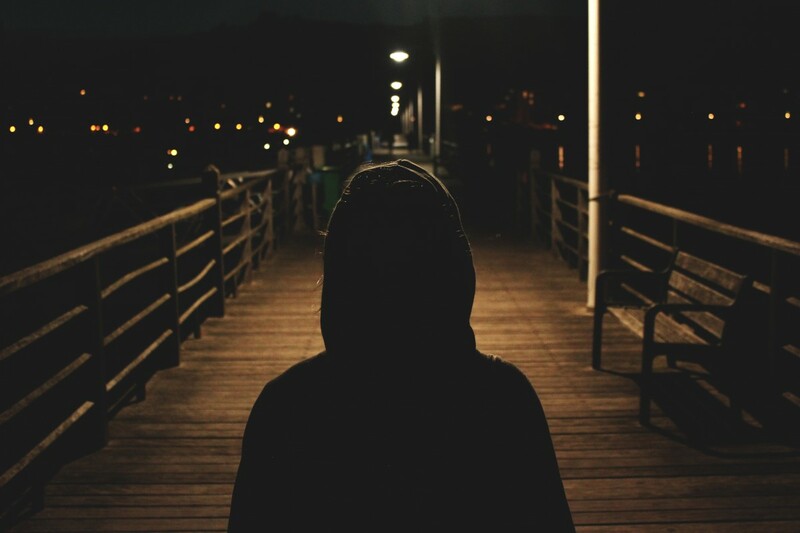 Your heart starts beating faster, your body temperature rises, tears are slowly gathering in your eyes, and the stories in your mind are getting out of hand—as though you’re about to see your life and dreams all crashing down under you. 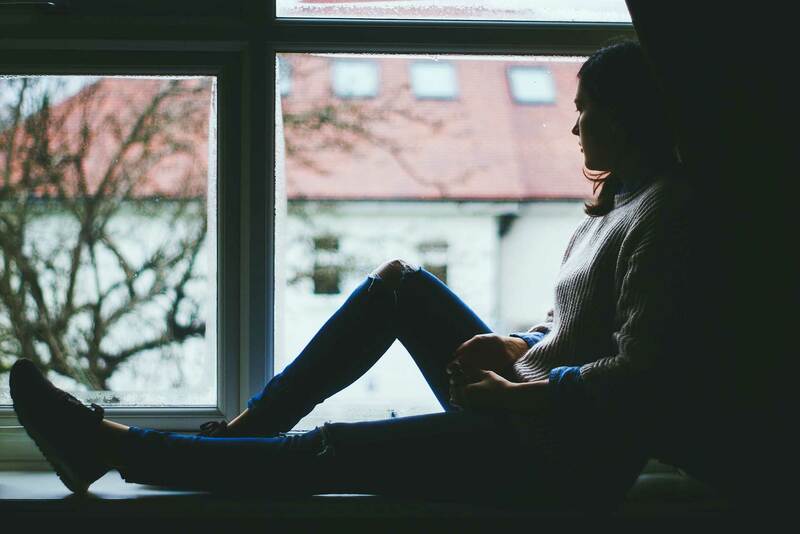 Sometimes, when loneliness takes over, for whatever reason, it can make anyone feel powerless—except that isn’t true. 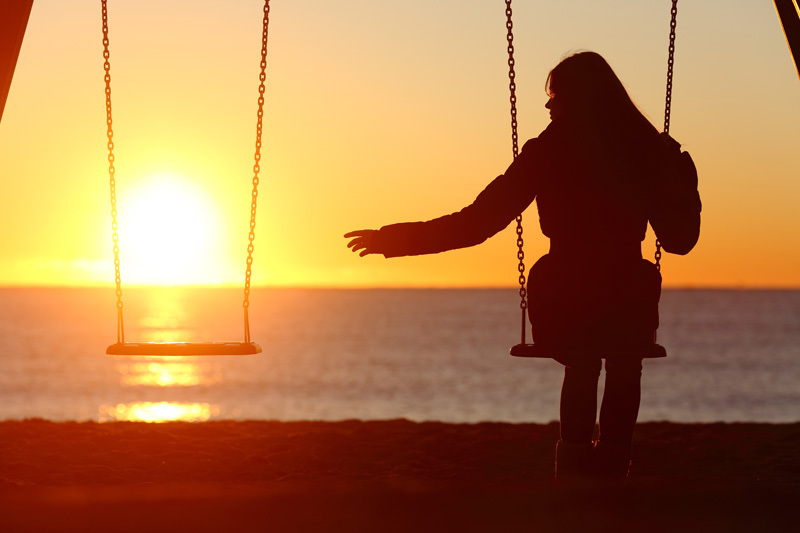 It’s normal and human to feel like this but we are the owners of this feeling, and we have the power to will it away. It is a wave that you must allow to hit you—ride the current and let it take you somewhere for a little while until it passes. Going against the tide will prolong your struggle; strong waves will eventually spit you out so just go where the flow is and it is going to be alright. Thoughts are only what they seem. They do not bear meanings unless you let them. When they visit your head, allow them to come in and go out, but do not fuel them nor make them stay. They are not necessarily your reality and often times, they do not represent it. You have to assert power over them. You don’t need to figure out everything you are supposed to do or not in your life in one sitting. Take one day at a time, breathe, calm your mind and heart, and then you can make clearer, better decisions. Remember that life is a marathon and not a sprint. The right circumstances will never skip the person whom they are meant for. You may be struggling about achieving your dreams or due to other things right now, but every person in this world has his own time to shine, you just have to believe your own. What pains you is what can actually strengthen you. You can manage whatever happens, it does not matter how many times it hit you, what matters is the fact you choose to stand up every single time—and that is bravery. Remind yourself that you are way stronger now than what you were before. Notice the little things that are going right for you. You are safe, someone loves you, you are not hungry, you are not homeless, and you have a job. Keep this going until you feel the anxiety and tension leaving. As Goh Keng Swee says, to avoid wrong things is to do nothing at all, and that is the ultimate wrong act. Slowly but surely, you can clean up your mind from unwanted thoughts. Count your blessings. Singapore is indeed the land of opportunity. There are a growing number of wealthy people here and that is not surprising considering that the industry or the market here is lucrative. However, a great number of wealthy people think about moving or migrating to other countries. 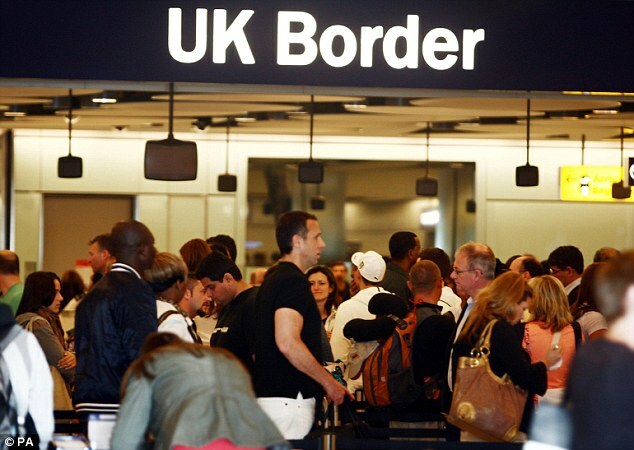 According to Barclays Wealth Insights, twenty three per cent of two thousand high net worth individuals from seventeen countries are planning to move or migrate. Before delving into details, it is important that you know the definition or parameters of high net worth individuals. When you hear this, it refers to individuals with more than US$1.5 million net worth. Barclays Wealth Insights released their report on September 15, 2014. The report captured the survey saying that twenty three per cent of two thousand high net worth individuals are thinking about moving abroad in the next five years. What are the reasons behind the migration? Desirable climate: Wealthy people move because of the climate. Thirty five per cent would go for climate than anything in the world. Retirement: Twenty four per cent would move or migrate for retirement. Maybe they want a different environment to retire to. 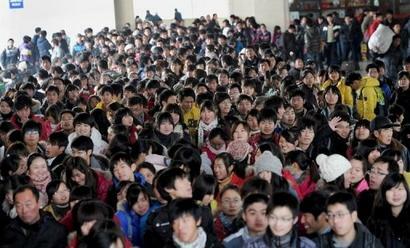 International career: Twenty per cent would migrate for their career. Education: Twenty per cent would also migrate to get their education and possibly opportunities after graduation. Experience another culture: Another twenty per cent would migrate to experience new culture. 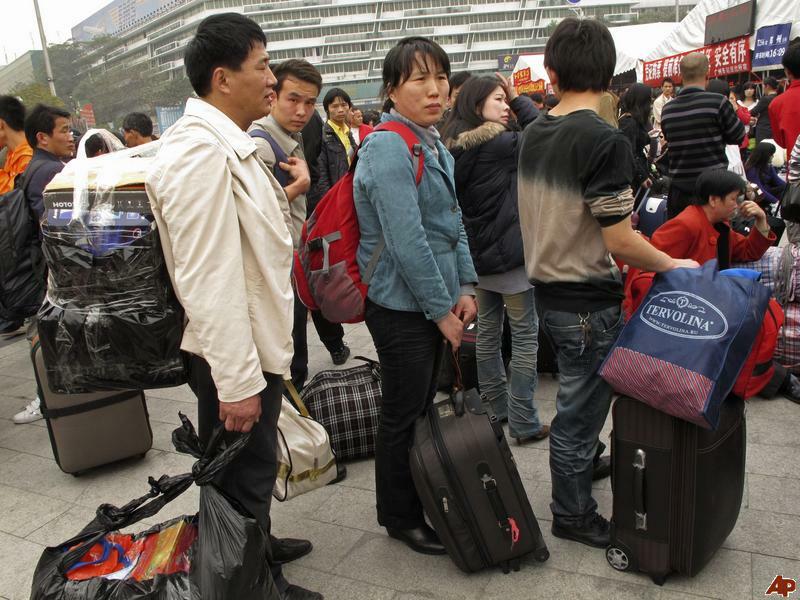 Lower cost of living: Eighteen per cent would migrate because they are seeking low cost of living. Work-life balance: Another eighteen per cent would go for the balance that they deserve – work-life. Starting own business: Twelve per cent would migrate because they believe that starting another business is easier in other countries. Political security: Ten per cent migrate because of the political instability of their country. Healthcare/social services: Nine per cent would migrate to avail of the best healthcare or social services. There are many countries who take pride in their healthcare and social services. Marriage/partner: Only seven per cent move to find a partner or marry their partner. Born/grew up there: Six per cent of people move or migrate because they are born or raised there. What are the countries that these wealthy people go to? Well, there’s the United States, Australia and the Britain. Some things were simply meant to be done with friends. Why? Because it is more fun that way. Just think about it, would you rather go to the amusement park by yourself or with your group of friends? Here’s another scenario, would you rather go partying with your special someone or with your circle of friends? See the point? Sometimes, it’s just better to share some moments with friends than with anybody else. If you need more proof, just check this list out and you’ll be convinced that they’re more fun to do with friends. When you’re about to do something frightening, wouldn’t you want the support of your friends? 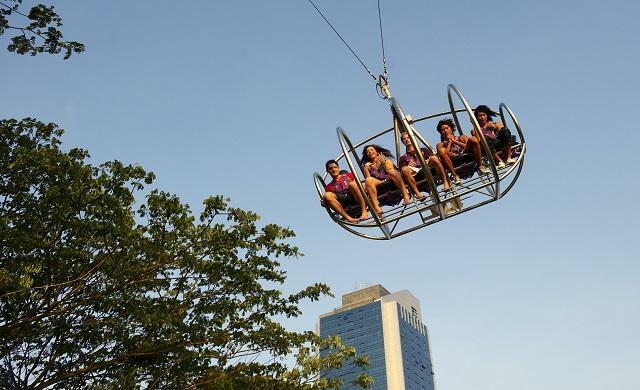 When you have your friends by your side, you’ll feel much more confident to try something new even if it scares the heck out of you like trying the GX-5 Extreme Swing. This activity brings just the right amount of adrenaline rush and guaranteed safety. So there’s no need to worry because highly trained staff are there with you throughout the experience. The GX-5 will drop you and your friends from a height of 50 meters and will send you screaming through a speed of 120 kilometres per hour! 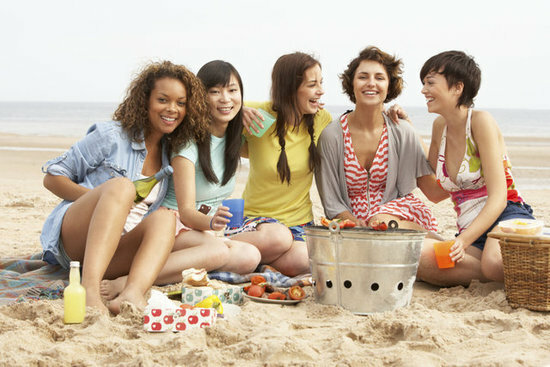 At your prime, especially when you’re single, partying with friends is something that you should try at least once. Partying is liberating and a good way to shake off those worries and stress from work. So just let loose and show off those dance moves! And don’t worry if you’re not so much of a dancer, just don’t take it seriously and be goofy. In fact, the goofier, the better. One good place to party at is The Butter Factory. Located at One Fullerton, this hip hop and R&B club features artistic interiors and wild themed parties.